Lori Uzzo has more than 30 years of experience as a writer, editor and content manager across multiple channels, from print to web to live events. 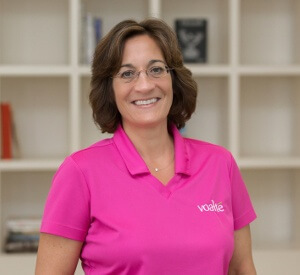 At Voalte, she works closely with customers to tell compelling stories of healthcare communication innovation and success, resulting in blog posts, white papers, case studies, videos, PowerPoint presentations and marketing collateral. Prior to Voalte, Lori held numerous editorial positions at publishing companies, corporate marketing departments and advertising agencies. Consistently creative yet always attentive to detail, Lori embraces a fast-paced, deadline-driven environment that involves juggling multiple projects simultaneously. Lori earned a Bachelor’s degree in Communication from Boston University.